Please make sure he notifications are NOT on “Silent” or “None”. Please click here if you want to change the notifications type for your prayers. On Android, the adhan will play at the current notification volume of your device and the Quran recitations will use the media/music volume. You may set each of these volumes by using the volume buttons of your device while pre-listening to the adhan (adhan selection page) or while listening to the Quran. Alternatively, both volumes can be set from the main Settings menu of your Android device. If you wish to hear the adhan notifications when your device is on silence (to wake up with Fajr for exemple), you need to set the adhan to use the alarm volume instead of the notification volume. This can be done from the Settings screen of the Muslim Pro app. You may try the “Test adhan in 10 seconds” option from the Settings menu of the Muslim Pro application. Make sure that the “Show notifications” option is enabled in the Settings > Applications > Muslim Pro menu of your Android device. 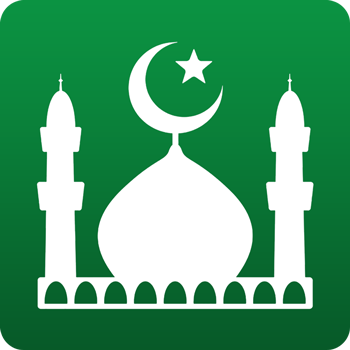 The Muslim Pro app reprograms adhan notifications everytime you restart your phone which requires the app to run on the main memory. If the app is installed on the external storage or SD card, adhan notifications might stop working after rebooting your device. Please also note that on Android, battery or power saving modes can affect the notifications and often result in the notification not to be displayed at all or to be displayed with a delay. Please ensure to disable the battery/power saving mode on your device to ensure that adhan notifications are received on time. If you are using battery saving app such as “Clean Master”, in that case please make sure that the Muslim Pro app notifications are NOT muted. Please note that some Android manufacturers have built-in battery / power saving mode such as Huawei. For these users, please refer to the following articles. For Samsung devices, please refer to this article. For Xiaomi devices, please refer to this article. For Oppo, Vivo & Meizu devices, please refer to this article. For Huawei devices, please refer to this article. For Sony Xperia devices, please read this article. Notifications still not working on Android? For notifications on iOS (iPhone or iPad), please read this article: The Adhan notifications are not working on iOS.